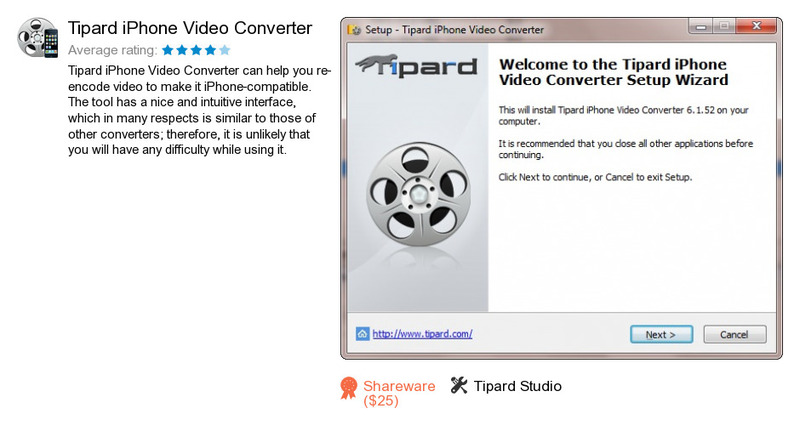 Tipard iPhone Video Converter is a program developed by Tipard Studio. We know of version 6.1. Version 6.1.52.14098 is available for download at our site. Tipard iPhone Video Converter package has a size of 22,040,770 bytes. Tipard Studio also publishes Tipard iPod to PC Transfer Ultimate and Tipard iPhone 4 to PC Transfer Ultimate.